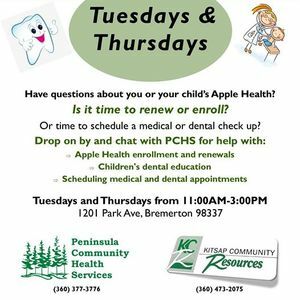 Have questions about you or your child’s Apple Health medical or dental insurance? Is it time to renew or enroll? Or time to schedule a medical or dental check up? Come chat with a PCHS Certified Navigator on Tuesdays and Thursdays between 11:00 AM and 3:00 PM at KCR’s Headstart—no appointment necessary! 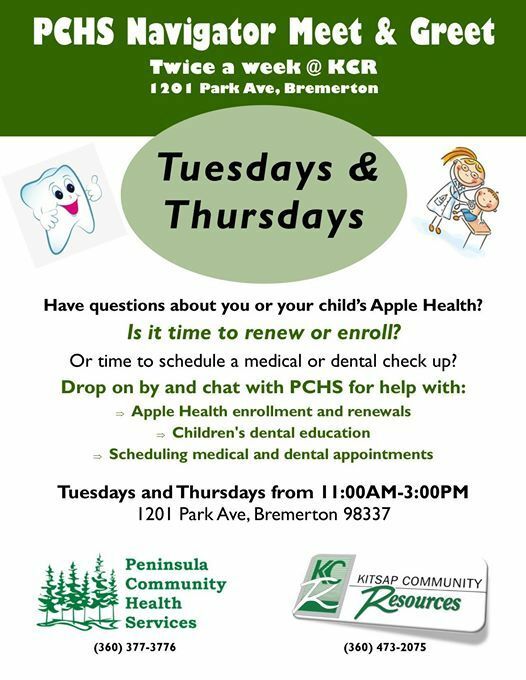 PCHS will be at Headstart to help with children's dental education, to answer your Apple Health insurance and enrollment questions, plus we’ll schedule your family’s next medical and dental appointments!